Pole rattan frame and legs in a medium brown finish accented with brass finish caps on each end of the crown and brass finish footrest on front stretcher. 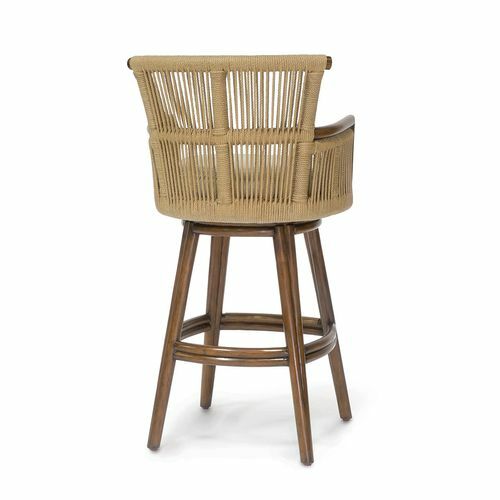 Seat features a 360 degree swivel mechanism and tightly wrapped jute rope on back and sides. 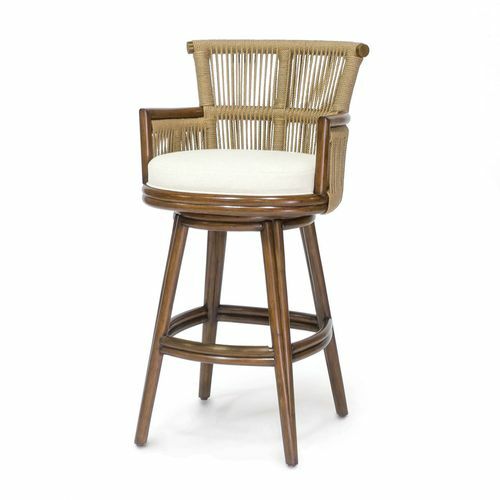 Stools come with a fixed upholstered seat.